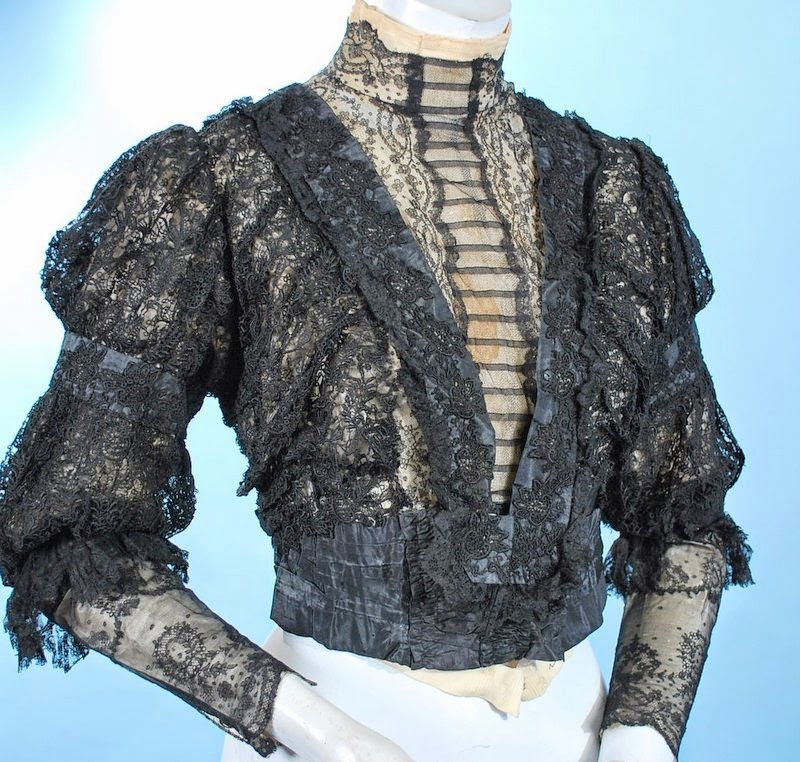 Imaginative and fancy Belle Epoque lace bodice with Roma label, dating to the late 19thc. 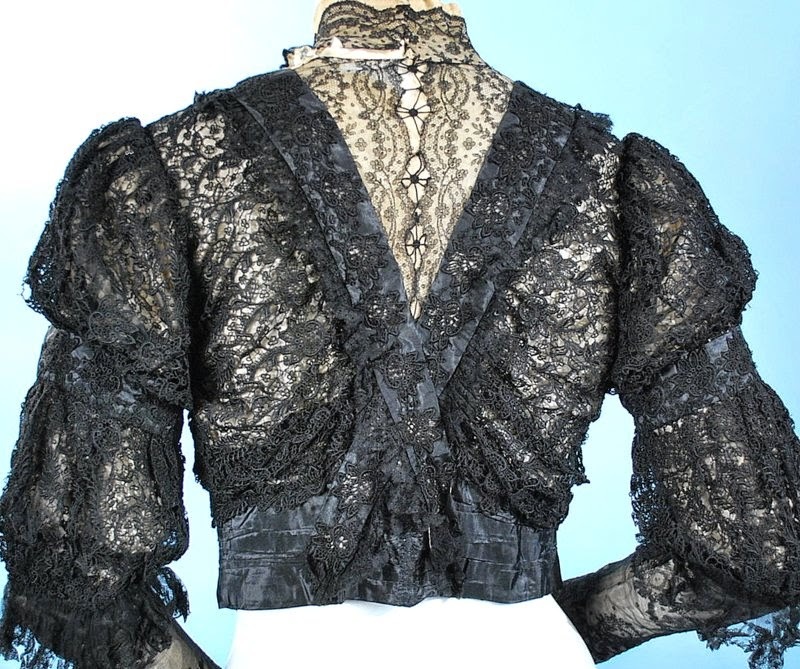 Front hook and eye closure, fully lined and stayed. 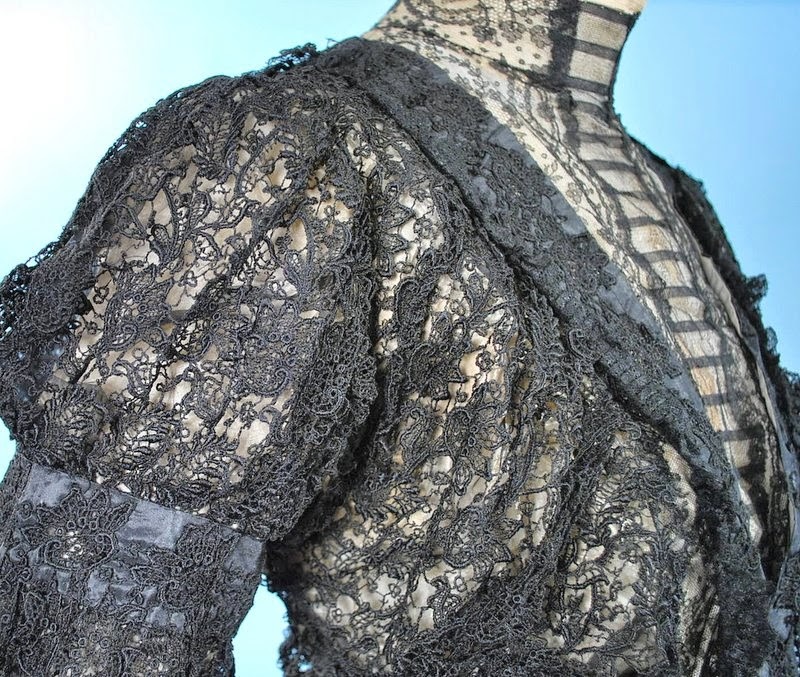 Unusual lace casing with machine chantilly lace sleeves. 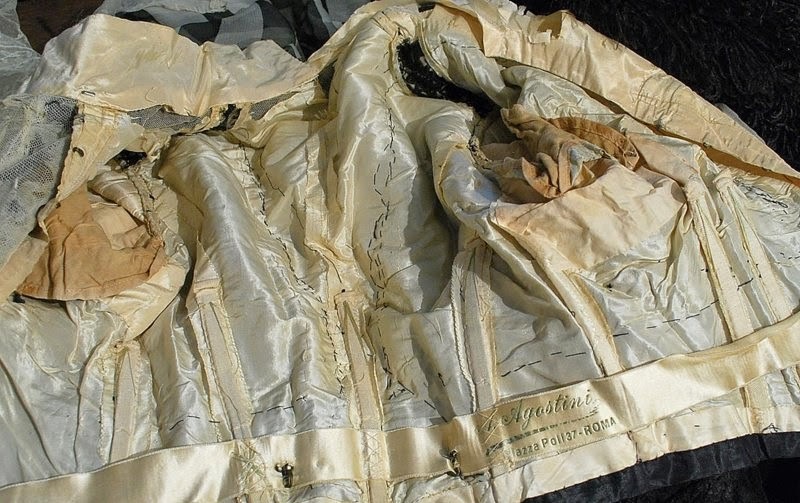 In overall good uncleaned as found antique condition, some of the laces are a bit dry and there is cracking to the interior silk, stain on front chest area, underarms good on the exterior. 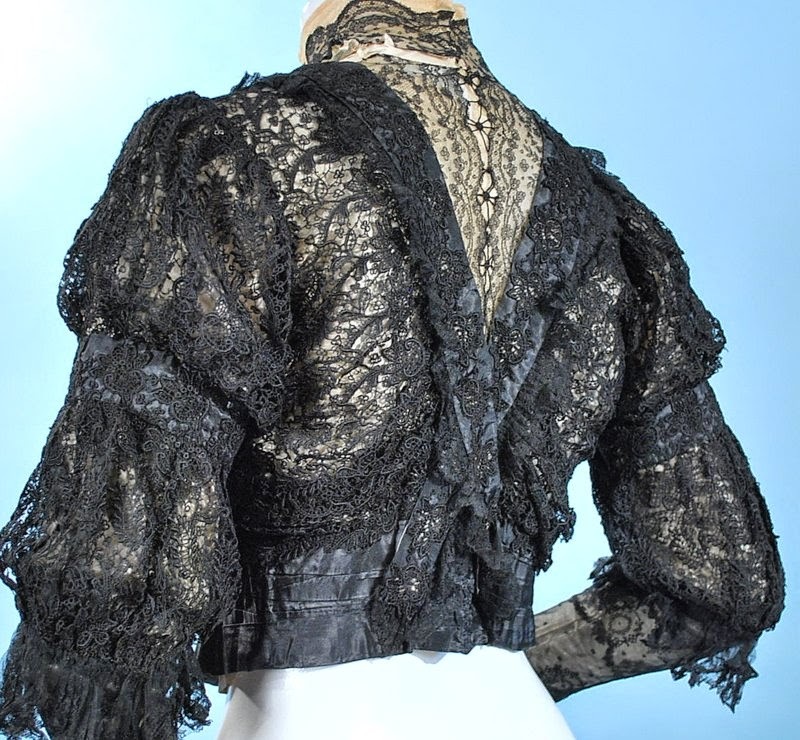 sold as found. 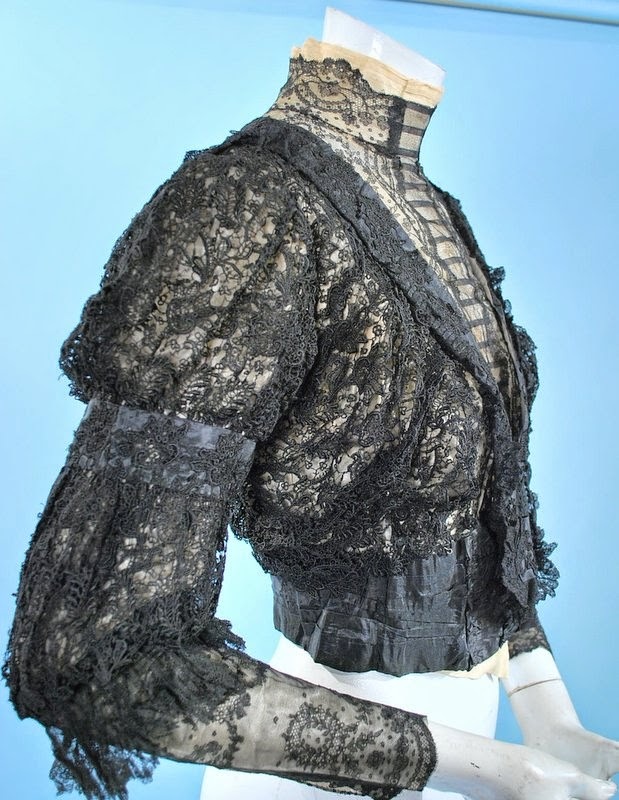 chest measures 34", waist 24" , length 17", sleeves 22", shoulder to shoulder 14". 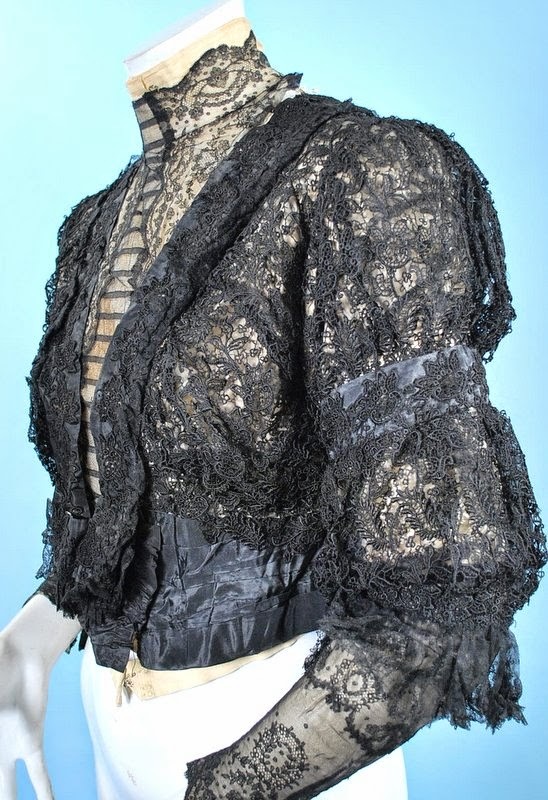 Probably best for design/inspiration, could be to tender to wear. 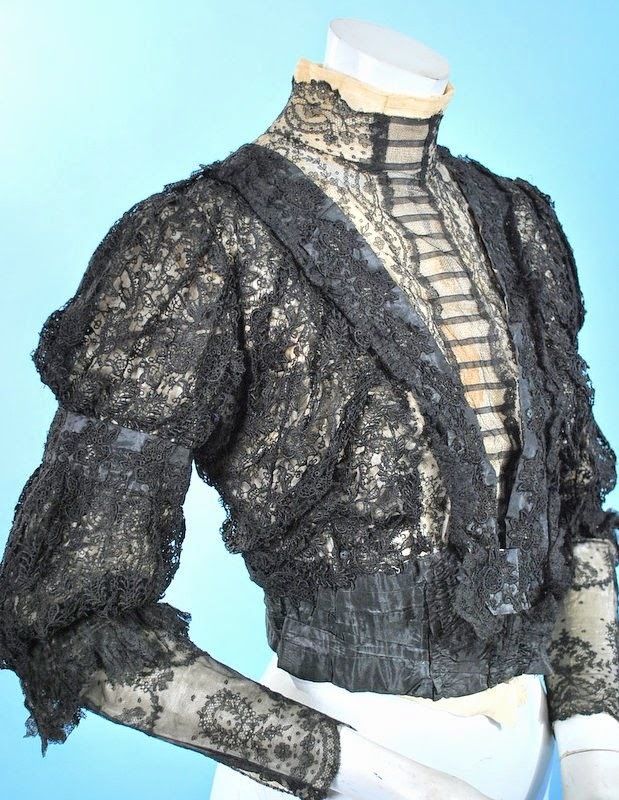 This is actually late 1900's - no sleeves of doom, no pigeon front, high neckline, criss cross front and back, with a ribbon belt attached at the waistline.